CRANSTON, R.I. - Police say an armored truck overturned on a Rhode Island highway, spilling bags of money that quickly drew passers-by. Deputy Fire Chief Paul Valletta Jr. tells The Providence Journal that the Garda truck was southbound on Route 10 on Saturday afternoon when the driver lost control. The truck swerved off the highway and onto the grass and rolled onto its left side. Valletta says passers-by swarmed to the scene, but it wasn't clear if they took any money. 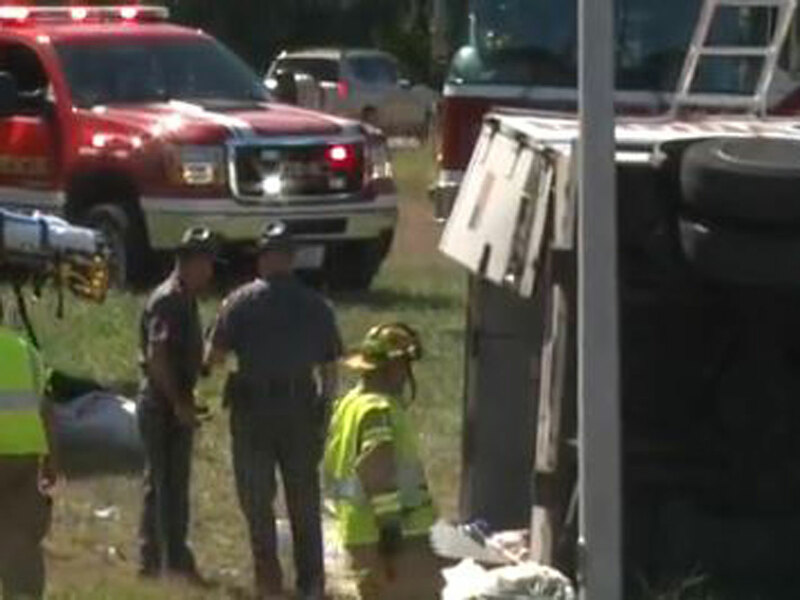 Several State Troopers could be seen picking up rolls of coins from the area around the truck afterwards, reports CBS affiliate WPRI in Providence. Troopers said some of the truck's load spilled out when the rear doors were opened to get to the guard who was seated in the back. That man was lucky he wasn't more seriously injured, police said, because the money and other objects in the vehicle were loose and flying around the inside of the truck during the rollover. Another armored truck arrived a short time later to take possession of the first vehicle's cargo.